Seabourn’s New Order Changes Balance With Silversea – Other Cruise News : QE2 On The Way To Asia – Anthem of the Seas For Southampton? Last week Seabourn announced that it was ordering a fourth ship of the Seabourn Odyssey class, which will serve to replace most of the capacity lost by the sale of its original trio to Windstar Cruises, with deliveries over 2014 and 2015. Meanwhile, Silversea has increased its fleet of expedition ships to three. Elsewhere, QE2 Shipping has placed a contract with COSCO Shipyard Group for conversion of the Queen Elizabeth 2 into a 400-room floating hotel, to be based at an as yet unnamed major city in Asia. Meanwhile, rumours seem to indicate that Royal Caribbean International intends to base its new Anthem of the Seas at Southampton from 2015. 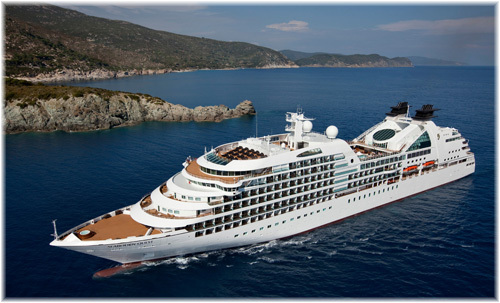 Seabourn and Silversea have usually fought head-to-head for primacy in the smaller-ship ultra-luxury sector. But Seabourn’s pending sales of the three smaller ships and the latest letter of intent with Italy’s Fincantieri for a new ultra-luxury cruise ship for delivery in the second half of 2016 will change the overall balance. After a five-year gap, the new ship will be a follow-on from the new 450-berth trio that the line introduced in 2009-11 with Seabourn Odyssey, Sojourn and Quest, and will be the fourth ship of this class. Arch-competitor Silversea seems to be going down a different road from Seabourn, however. 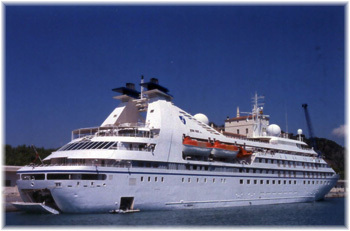 Unlike Seabourn, Silversea built only one ship of its latest class, the 540-berth Silver Spirit, and never ordered any more. Also unlike Seabourn, however, Silversea has been investing in expedition ships, an area outside Seabourn’s area of expertise. Starting in 2007 with the 132-berth Finnish-built Prince Albert II, renamed Silver Explorer in 2011, it added the 100-berth Silver Galapagos three weeks ago and will introduce the 128-berth Silver Discoverer in March 2014. The Silver Galapagos was one of eight original Renaissance small ships, built in 1990 in Italy. The Silver Discoverer had been sailing as the Clipper Odyssey for Zegrahm Expeditions. She is one of a very small number of Japanese-built cruise and expedition ships, having been built for Showa Line by NKK Tsu (now Universal Shipbuilding) in 1989 as Oceanic Grace. In all, this adds three ships but only 360 berths to Silversea’s inventory, brining the total number of lower berths to 2,268, or about 25% more than Seabourn. While Silversea will be up to eight ships, including the three expedition ships, Seabourn’s fleet will be streamlined to just four Seabourn Odyssey class ships after it disposes of its smaller 212-berth trio to Windstar Cruises. Seabourn Pride is to become Star Pride in April 2014, Seabourn Legend will follow as Star Legend one year later and Seabourn Spirit will become Star Spirit in May 2015. These timings also mean that Seabourn will be at three ships for a year before the latest newbuilding enters service in 2016. Ironically, the three Seabourn ships will not be moving far as new owners Windstar Cruises are on Seattle’s Fourth Avenue, only a little over a mile away from Seabourn’s head office on Elliott Avenue, where they lodge with Holland America Line. Windstar is a division of Xanterra Parks & Resorts, based in Greater Denver, in turn part of Denver-based Anschutz, while Seabourn is a subsidiary of Miami-based Carnival Corp & PLC. 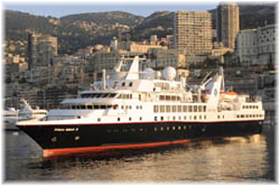 Silversea is still family-owned and based in Monaco. The Dubai-based QE2 Shipping LLC last week announced the appointment of COSCO Shipyard Group to refurbish the former Cunard Transatlantic liner Queen Elizabeth 2 into a luxury floating hotel. In this £62m conversion, her 900 cabins are to be converted into 400 larger suites ranging from 650 to 1,600 square feet in size. While the transformation is under way, memorabilia is to removed from the ship and stored in a secure warehouse in Singapore, to be reassembled after the renovation is complete. Ownership of the Queen Elizabeth 2 has meanwhile been transferred to a consortium of investors in QE2 Shipping, which will also oversee the ship’s management as a hotel. The chairman of the new company, Khamis Juma Buamim, is as well chairman of Dubai’s Drydocks World LLC. The ship has been at Dubai, where an initial idea to convert her into a floating hotel locally never went ahead, since 2008. The QE2 has now been brought back to class with Lloyd’s Register and it is intended that she will soon depart from Dubai under her own power for COSCO’s Zhoushan shipyard, south of Shanghai, for her conversion work. 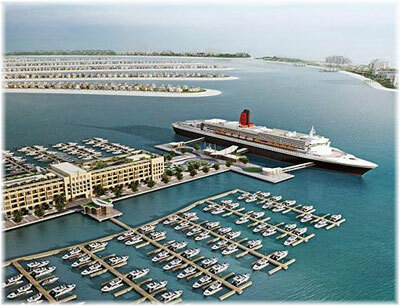 She is then scheduled to be delivered as a floating hotel in 2015. It had been hoped QE2 would leave Dubai in a “gala sail off” on Friday, with stops at Singapore and Hong Kong before arriving at the Chinese shipyard. At the moment, however, she is still in Dubai and the company has not yet provided any new timetable. The winning bidder, COSCO Shipyard Group, is a joint venture between China Ocean Shipping Company (COSCO) and Singapore’s Sembcorp Marine. 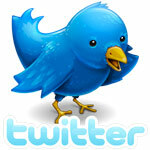 The group specializes in ship repair and conversion, newbuilding and offshore unit construction. Three other Chinese shipyard groups were also invited to tender. Khamis Juma Buamim said: “No other ship can match the QE2’s prestige, or her legacy. Although, this will be the first cruise such conversion project in a Chinese shipyard, Sembcorp has done similar work at its Sembawang shipyard in Singapore, one of Asia’s best-known shipyards for passenger ship work. 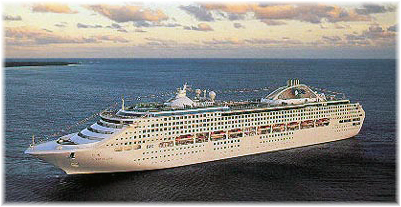 The recent modernization by Sembawang of Princess Cruises’ 1,950-berth Sun Princess for the Japanese market was successful enough that Princess Cruises has awarded a further project to Sembawang for modernization of its 2,674-berth Diamond Princess, work on which is to commence in March. 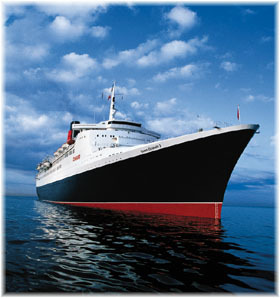 Meanwhile, under the title “Project New Life,” seven international firms have been invited to submit design proposals for the QE2’s interior refurbishment. Proposals from US companies BG Studio, Jerde Partnership and Wilson Associates, UK-based Benoy, the Finnish firm Dsign Vertti Kivi, Italy’s Santarossa and Singapore’s Ong & Ong will be showcased on the official QE2 website for public review between October 15 and November 15, 2013. The winning proposal will be announced on November 30. Other work will see a revamp of the ballroom as well as the refitting of seven restaurants, ten lounges, a cinema, a maritime museum displaying QE2 memorabilia and a shopping mall. The future location of QE2 in Asia following the refurbishment has not yet been announced. The former 70,327-ton former Cunard flagship carried almost 2.5 million passengers and completed more than 700 Atlantic crossings during her forty-year career with Cunard Line. 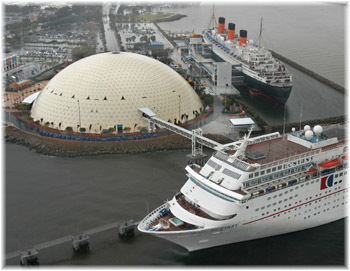 The 81.237–ton Queen Mary of 1936, is now a floating hotel at Long Beach, California, while the 83,673–ton Queen Elizabeth of 1940 burned at Hong Kong in January 1972 while being converted into a floating university. Cunard Line’s present flagship, the 148,528-ton Queen Mary 2, which marks ten years in service in 2014, is the fourth Cunard Transatlantic Queen. Anthem of the Seas For Southampton? Rumours have been making the rounds for the past few weeks suggesting that the company may be about to unveil the employment of Anthem of the Seas, the second unit in its 167,800-ton Quantum class, from Southampton in the Spring of 2015, when she is scheduled for delivery from Meyer Werft in Germany. If true this will give the UK its first North Star pod, whose design is apparently based on those on the Millennium Wheel in London. For a while, future berth reservations for the French port of Le Havre showed Anthem of the Seas arriving from Southampton in 2015 or heading for Southampton after calling at the French port. Not featuring in the same advance 2015 lists is the Independence of the Seas, the current Southampton-based ship, although the 3,114-berth Adventure of the Seas, which is also operating a series of cruises from the UK this year, is included. It seems the Le Havre lists have now been switched back from Anthem to Independence but that may just be to keep a cover on the news. 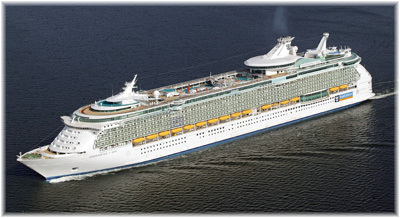 The reported 2015 Anthem itineraries reflect those now being operated by the Independence of the Seas so it could well be that Royal Caribbean International is planning for the 4,100-berth Anthem to replace the 3,634–berth Independence, thus upping the berth capacity on its main UK-based ship by 12.5%. At the same time, Royal Caribbean would be pipping out P&O’s new Britannia, which at 141,000 tons and 3,600 berths will be smaller than either Royal Caribbean ship, as the largest ship based in the UK. Britannia will also be slightly smaller than Cunard Line’s Queen Mary 2 at any rate, but Anthem of the Seas would definitely usurp both as the largest ship calling on Southampton. Nevertheless, it would be an interesting day when all of Anthem of the Seas, Queen Mary 2 and Britannia are all in Southampton together, as among them the three ships can carry in excess of 10,000 passengers. On another point, the Quantum class vessels have been designed as “winter ships,” with what would be outdoor activities on most ships taking place instead under a glass roof. The class also features more multi-functionality of indoor areas than most other ships do. This raises another interesting question, as while Independence of the Seas served year-round from Southampton at first, more recently her winter departures have been cut back. Perhaps the Anthem could be a return to year-round cruising from the UK for Royal Caribbean. Quantum of the Seas, lead unit of the class, is scheduled to operate out of Bayonne, New Jersey, from late 2014, when she is due to be completed. New York too requires winterized ships for year-round service, something that has been developing in a number of areas over the past decade of so. Without disclosing any details, meanwhile, Royal Caribbean International has scheduled a media event to be held in London on November 21.